A couple of weeks ago I noted that crime writer Anne Perry (aka Juliet Hulme) would be hitting the headlines even more than usual in the coming weeks, as the publication of a biography about the teenaged murderess-turned-reclusive author, THE SEARCH FOR ANNE PERRY by Dr Joanne Drayton, loomed. Drayton was given unprecedented access to Perry, so will be able to provide a much different perspective to the books and articles that have gone before. No doubt there will be plenty of new material, and hopefully insights, in the biography. I understand Drayton also surveys Perry's crime writing canon - which could be of much interest to fans. Although, of course, it will also be curious to see whether Drayton's close access to Perry will mean that the biography might be more sympathetic than objective, such as can happen with war correspondents who are 'embedded' with military units, and so get a skewed perspective on horrific events. It should make for some good talking points, regardless. 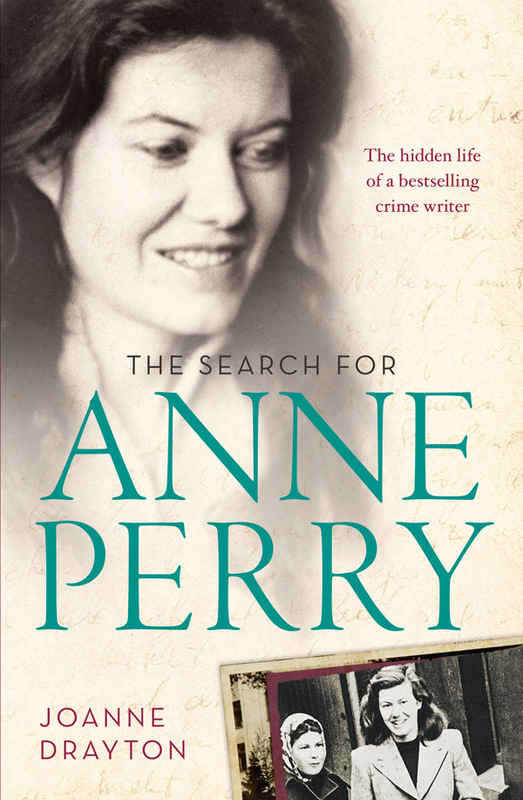 I've read and enjoyed several of Perry's historic crime novels, and I am looking forward to reading Drayton's biography, entitled THE SEARCH FOR ANNE PERRY, which is currently sitting on my bookshelf in front of me. Coupled with Peter Graham's acclaimed and deeply researched expose of the court case and the crime in last year's SO BRILLIANTLY CLEVER, crime fiction fans and other interested readers will now be able to get a much better insight into the crime, the criminal, and the crime writer. Of course, questions and debate will no doubt remain. But it's great to see these works being published. Last night, the biography was officially launched at an event in Auckland. Today on his excellent blog, my fellow Ngaio Marsh Award judge Graham Beattie has shared his thoughts about the book launch, along with publishing the address Drayton gave to the audience at the book launch. You can read that address here. Drayton will be discussing her biography in a terrific event at the upcoming The Press Christchurch Writers Festival, on Saturday, 1 September 2012 at 3.30pm. There will also be screenings of the recent documentary, Anne Perry: Interiors, during the festival. You can see the full Festival calendar here.